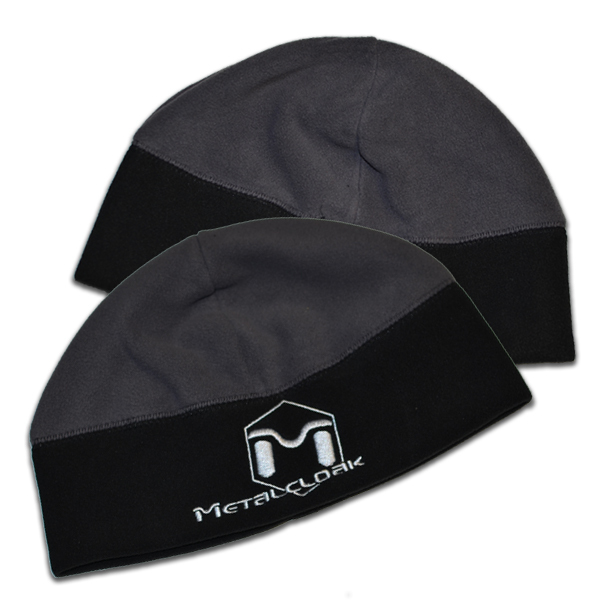 The MetalCloak Micro Fleece Beanie. Top quality Port Authority two tone (Black/Charcoal) micro fleece beanie with Iconic MetalCloak logo embroidered in silver on the bottom black band. This one size fits most beanie is light-weight, breathable, water resistant, and incredibly warm. This beanie is light-weight, breathable, water resistant, and incredibly warm.